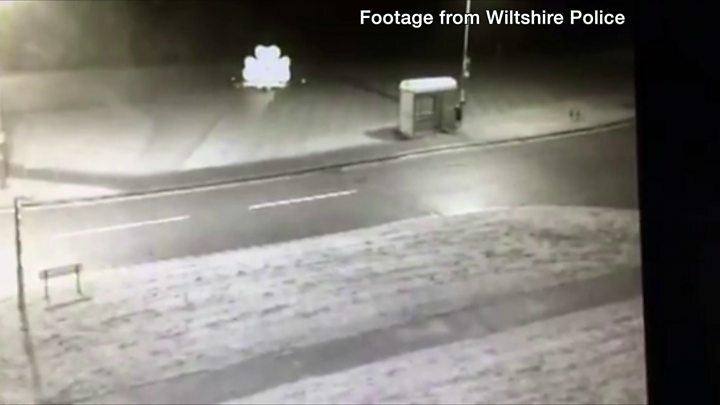 A marble sculpture of a poppy in Royal Wootton Bassett has been significantly damaged after it collapsed under its own weight. It was created in 2015 by local artist Mark Humphrey in gratitude for the way the town honoured repatriated military personnel. The 10ft wide sculpture weighs 4.5 tonnes and the bottom petal snapped overnight, causing it to fall over. There were concerns it was vandalism, but CCTV showed nobody was involved. The town's mayor Steve Bucknell said: "We are shocked and saddened about the damage to the poppy, and are currently looking into the cause." Mr Humphrey added: "We are all understandably upset by this unexpected news. "I have visited the poppy and I am committed, together with the council, to find a resolution as the poppy has become a treasured addition to the community." On completing the sculpture, Mr Humphrey said the piece, called Forever, would serve as a memorial to the men and women who served in Iraq and Afghanistan. Wiltshire Police have cordoned off the area around the sculpture in Marlowe Way and is asking people to avoid approaching the site for safety reasons.